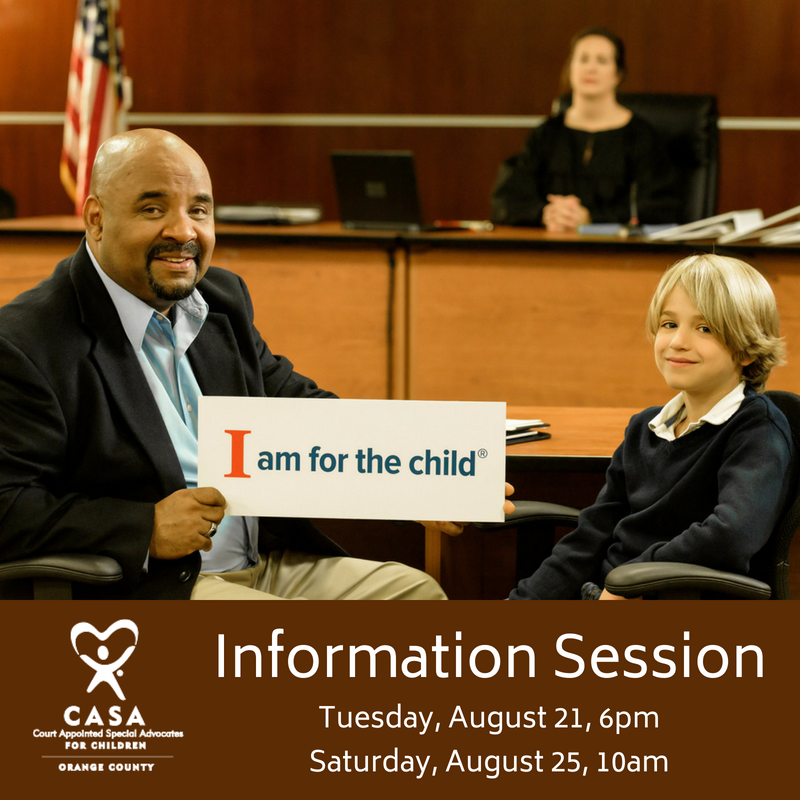 Help CASA of Orange County – Court Appointed Special Advocates recruit more volunteers to work with the 200+ children who are on our wait list! Two upcoming Information Sessions are being held in the CASA Training Room located at 1505 E. 17th Street, Santa Ana, CA. This entry was posted in Activities, Awareness Walk/run, local government action, training by Patrick Erlandson. Bookmark the permalink.